AFC - 10/16/15 For Fur Free Europe! 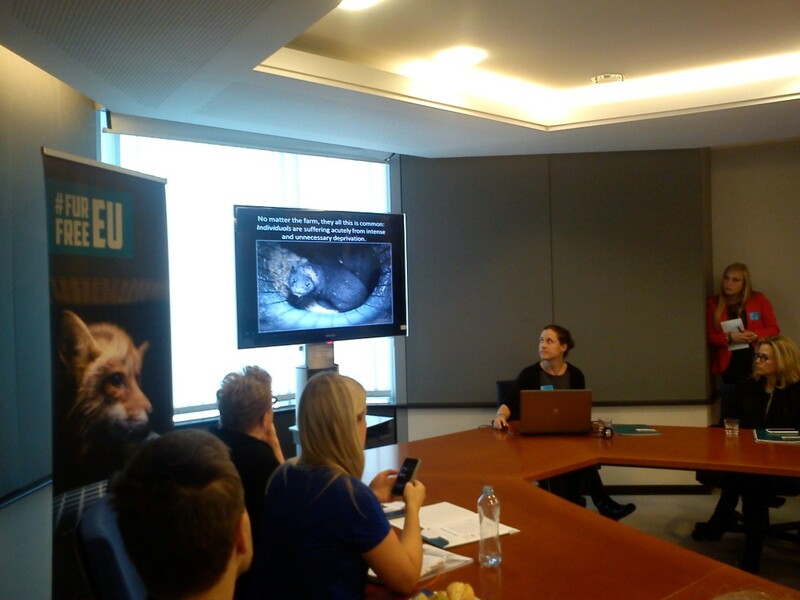 Viktoria Krcelic, the representative of the Animal Friends Croatia, attended the launch of a report on fur farming in Europe and the harm it is doing to both animals and the environment. 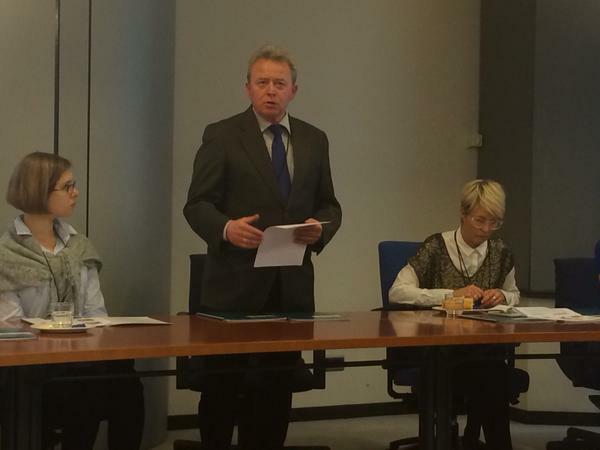 The event was titled "What's Behind Fashion" and it was held in the European Parliament in Bruxelles on October 15, 2015. Animal Friends Croatia is a member of the Fur Free Alliance (FFA) and Eurogroup for Animals organisations who organised the event and presented the report on the Nordic fur industry, which even markets itself as a responsible business. 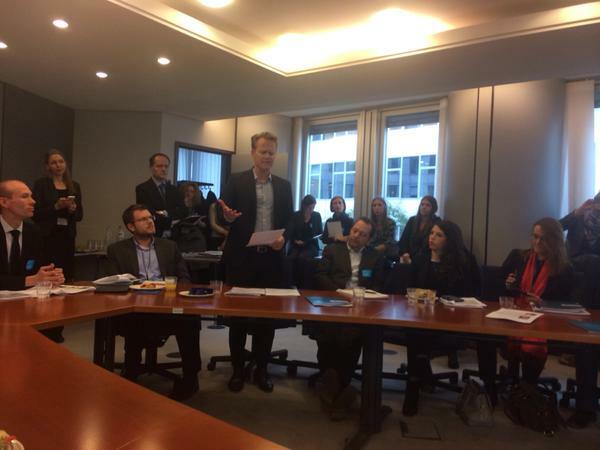 The event was hosted by Heidi Hautala, Member of the European Parliament (MEP) for Finland and a member of The Greens/European Free Alliance (EFA) group. 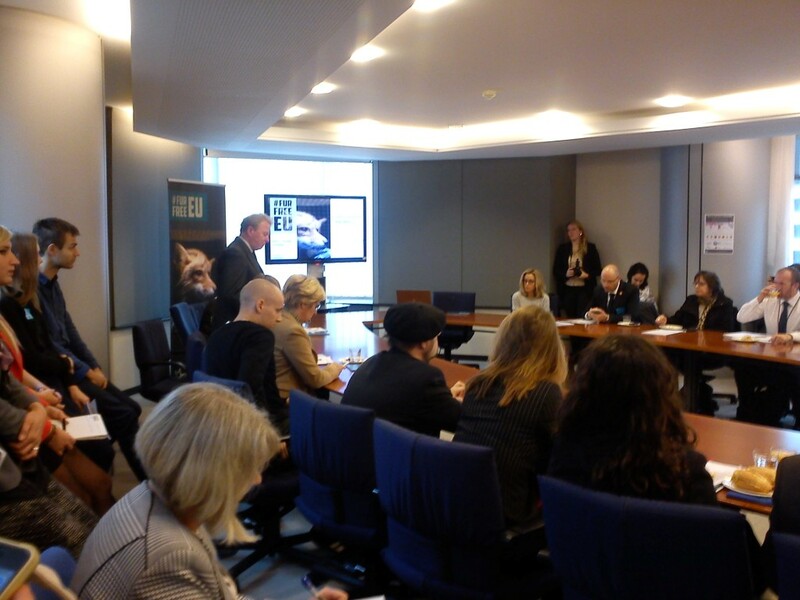 Opening remarks were made by Janusz Wojciechowski, MEP for Poland, Reineke Hameleers, director of Eurogroup for Animals, and Joh Vinding, the FFA chairman. 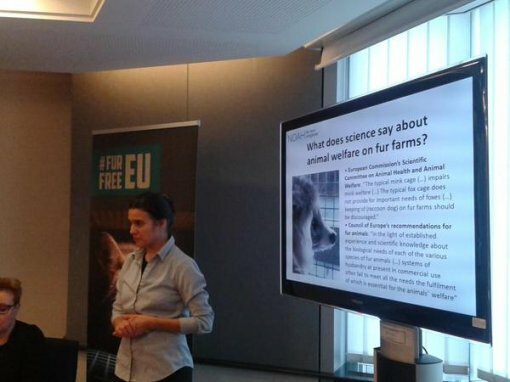 The report itself was presented by co-authors Salla Tuomivaara, Executive director of the Finnish animal welfare organisation Animalia, and Siri Martinsen, a veterinarian and head of the Norwegian animal rights organisation NOAH. 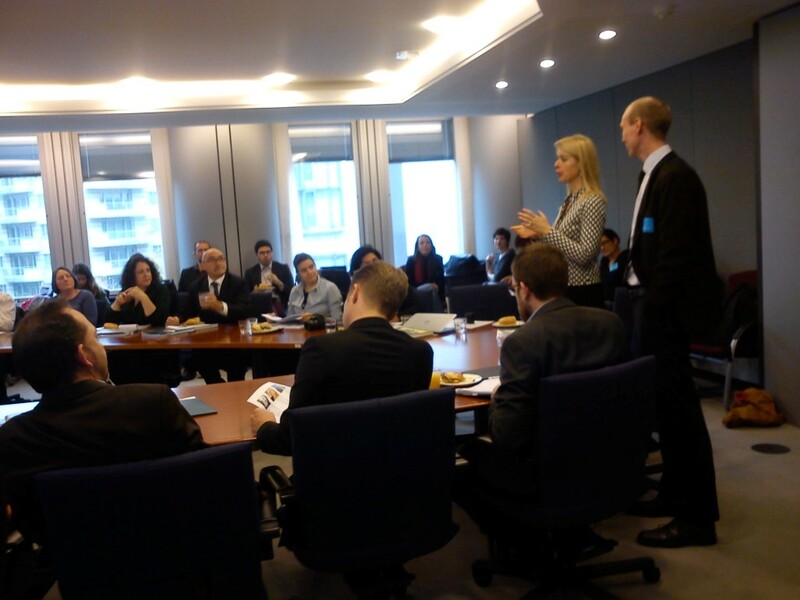 Comments by Sirpe Pietikäinen, MEP for Finland, and Jeppe Kofod, MEP for Denmark, followed. Jo-Anne McArthur, a photojournalist, illustrated the report's results depicting distressing realistic photographs taken at fur farms. The European fur industry, and especially the Nordic fur industry, markets itself as a responsible business concerned about ethics and animal welfare. These claims of European fur marketers that they meet ethical standards are in stark contrast to the reality of life of farm animals, and as such have been a subject to a barrage of criticism from experts and the public alike. By reference to animal welfare scientific reports, legislative norms, and photographs, this new report points to many animal welfare issues in fur farming and shows significant differences in conditions of living on fur farms worldwide. The ban on fur farming is the only solution. This is supported by public opinion polls which show that people are very clear in being against fur farming. Many European Union member states already banned fur farming or are in the process of banning it. Considering a disgraceful initiative of Croatian Agriculture Minister Jakovina to abolish the existing ban on fur farming by excepting chinchillas from it, the presentation of this report is particularly interesting on account of the conclusion that the farm industry works on the same principles all over the world. Animal welfare is not possible in fur farming, therefore, Croatia should be proud of its present praiseworthy ban and it should also aspire to advance animal and environment welfare. For more information see: http://www.prijatelji-zivotinja.hr/index.en.php?id=1601.